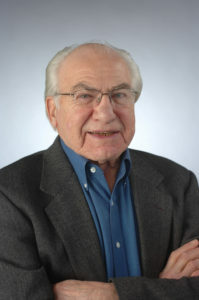 Louis Kriesberg (Ph.D. 1953, University of Chicago) is Professor Emeritus of Sociology, Maxwell Professor Emeritus of Social Conflict Studies, and founding director of the Program on the Analysis and Resolution of Conflicts (1986–1994), all at Syracuse University. In addition to over 160 book chapters and articles, his published books include: Constructive Conflicts, 5th ed. (2017), co-authored with Bruce W. Dayton (earlier editions 1998, 2003, 2007, 2012); Perspectives on Waging Conflicts Constructively: Concepts, Cases and Practice (2017), co-edited with Bruce Dayton; Louis Kriesberg: Pioneer in Peace and Constructive Conflict Resolution Studies (2016). Series: Pioneer in Arts, Humanities, Science, Engineering, Practice, Vol. 1, Springer; Realizing Peace: A Constructive Conflict Approach (2015); Conflict Transformation and Peacebuilding (co-ed, 2009); International Conflict Resolution (1992); Timing the De-Escalation of International Conflicts (co-ed., 1991); Intractable Conflicts and Their Transformation (co-ed., 1989); Social Conflicts (1973, 1982); Social Inequality (1979); Mothers in Poverty (1970); Social Processes in International Relations (ed., 1968); and Research in Social Movements, Conflicts and Change (ed., Vols. 1-14, 1978-1992). He was President of the Society for the Study of Social Problems (1983–1984), and he lectures, consults, and provides training regarding conflict resolution, security issues, and peace studies.